If you're looking for protein-rich snack ideas you're not alone, which is why many commercial packaged food products now contain added protein. Protein aids in healthy weight management, helps maintain lean body mass, is important for bone health, and helps regulate blood sugar, according to one 2015 review. You can boost your daily protein intake with these tasty snack ideas. 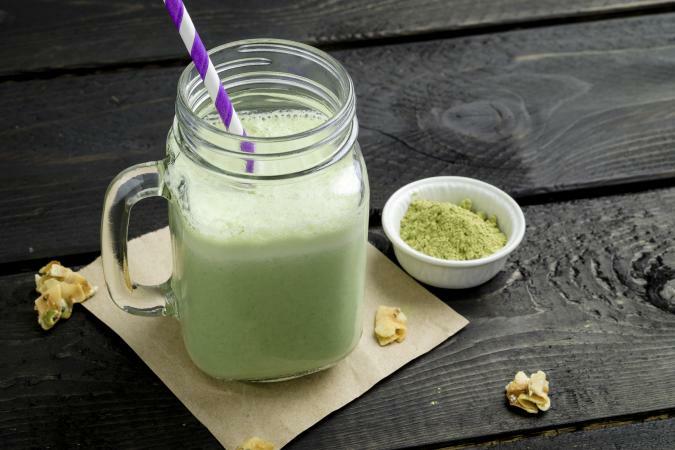 Using matcha green tea powder to make your next protein smoothie is a delicious and nutritious way to enjoy the endless health benefits of green tea. Mix all ingredients together in blender or shake ingredients up in shaker bottle until well blended. 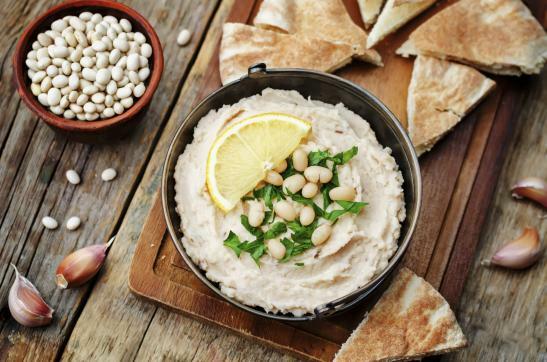 Give fresh veggies, pita chips, or whole-grain crackers an extra boost of protein by dipping them in mouth watering white bean hummus dip. Blend all ingredients in blender or food processor until smooth. Chill for one hour before serving. This heart-healthy, protein-rich treat will fill you up, give you a quick boost of energy, and is perfect for a pre- or post-workout pick-me-up. Blend all ingredients (except 1/2 cup shredded coconut) in blender or food processor. Roll mixture into 12 evenly-sized balls. 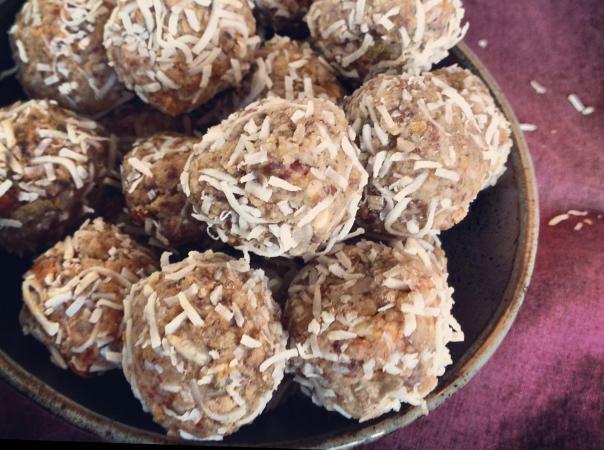 Coat balls with the remaining shredded coconut. Chill and store in the refrigerator in an airtight container. 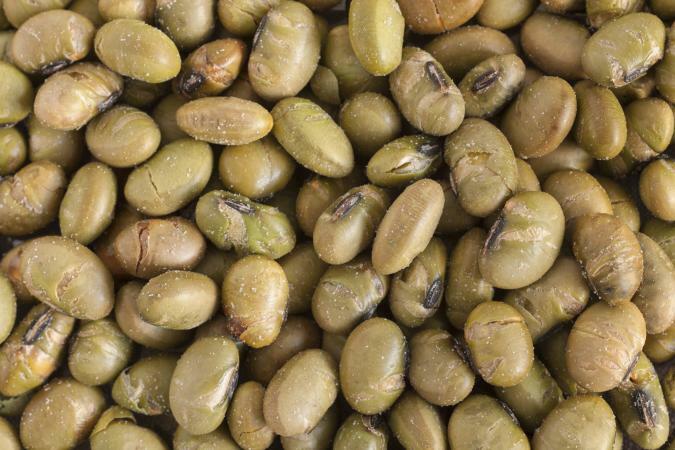 Whether you're seeking a vegetarian protein snack food or simply want to reap the heart-healthy benefits of fiber-rich soy beans, roasted edamame is sure to be a hit. Try this basic roasted edamame recipe (or roasted pumpkin seed recipes), or alter your seasonings to change things up a bit. Rinse the edamame under warm water; pat dry with towel. Coat the edamame with olive oil and sea salt in bowl. Spread the edamame on a cookie sheet and roast at 350 degrees for 30 minutes (stirring every 10 minutes) or until the edamame turns slightly golden brown. For a refreshing summer treat you can enjoy year round, make your own Greek frozen yogurt. 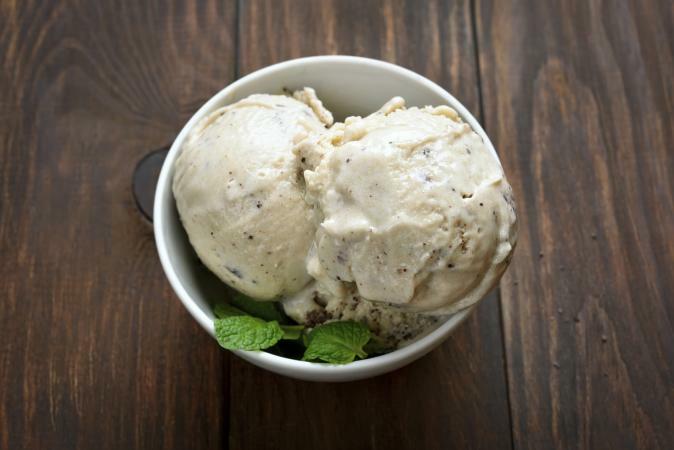 This simple recipe is healthier than regular ice cream, and it's protein-rich. Blend all ingredients in blender or food processor. Place the mixture inthe freezer, and store in an airtight container until ready to serve. Top with fruit or nuts, if desired. Protein-rich snacks are a must when you want to boost satiety and keep your waistline slim and trim. High-protein diets don't have to be boring or bland when you have delicious snacks on hand.